It is a bitter moment when you realize only at the store that you forgot the very list of things that sent you shopping in the first place. 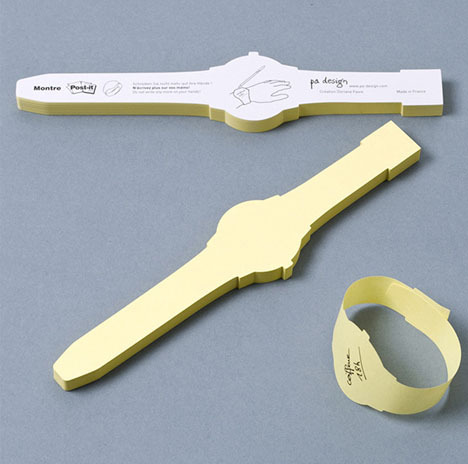 Hence, the self-adhering Post-It watch that wraps your wrist and reminds you of your next meeting or upcoming mission. 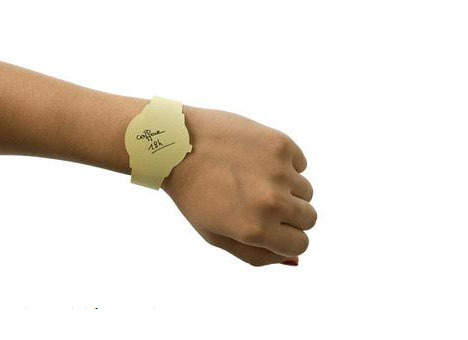 It might not be the most stylish accessory, but attire aside it is definitely handier to keep your hands free for running errands. 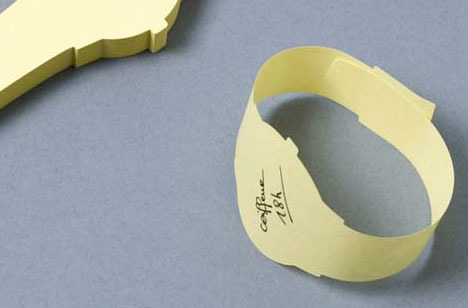 lol, nice papaper artwork, we can create more ncie wrist watches by doing gome more techniques.